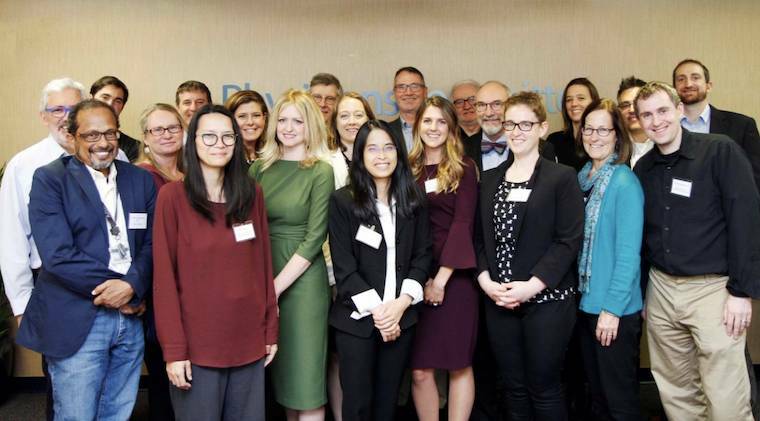 On Oct. 25, 2018, the Physicians Committee for Responsible Medicine gathered 23 stakeholders including scientists, policy experts, physicians, and leaders from U.S. federal agencies and nongovernment organizations at its Washington, D.C., headquarters. Participants were charged with identifying the challenges of using human tissues in research and to cultivate a strategy to help meet the needs of the basic and translational research communities to increase the availability and quality of human tissues in biomedical and translational research. The roundtable discussion highlighted the need for an augmented tissue donation process through streamlining donation consent forms and improving the communication pathways between donors, medical personnel, and Organ Procurement Organizations (OPOs). Additional key recommendations are outlined in the downloadable PDF - HUMAN TISSUE ROUNDTABLE: INCREASE THE AVAILABILITY AND QUALITY OF HUMAN TISSUES IN SCIENCE.